Connecting with customers is a critical business requirement for all companies. 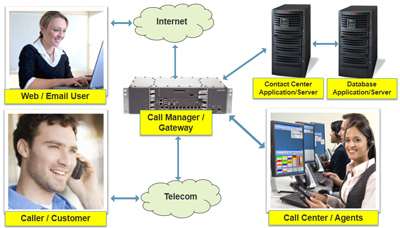 Today, those connections can occur in a variety of forms including email, web chat, telephone or some combination of the three. A properly designed and configured contact center utilizing skills based routing, email and web chat integration, and reporting, ensures your customers will get the service and support they demand in today's competitive market. Whether your contact center is centralized in a single location or spread across multiple cities, Sefinel has the skills and expertise to design and implement a configuration that meets your company's unique needs.